As a Wigmaker I'm trained to spot quality human hair that has an enormous amount of fillers which will ultimately cause the hair to shed and tangle compared to some that add just enough to enhance the blend. Upon reading the reviews on Amazon of so many bundles, I compiled a list of the best bundles for making Lace Closure and Lace Frontal Wigs. 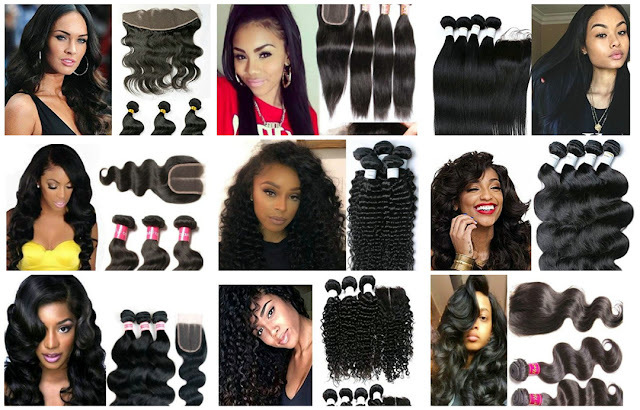 These bundle deals vary in prices as well as in lengths and the amount of hair included in the bundles. All in all, I think they are all good deals for making closure wigs. Click Here For More Selections on Pinterest! Click Here For More Selections on Pinterest!